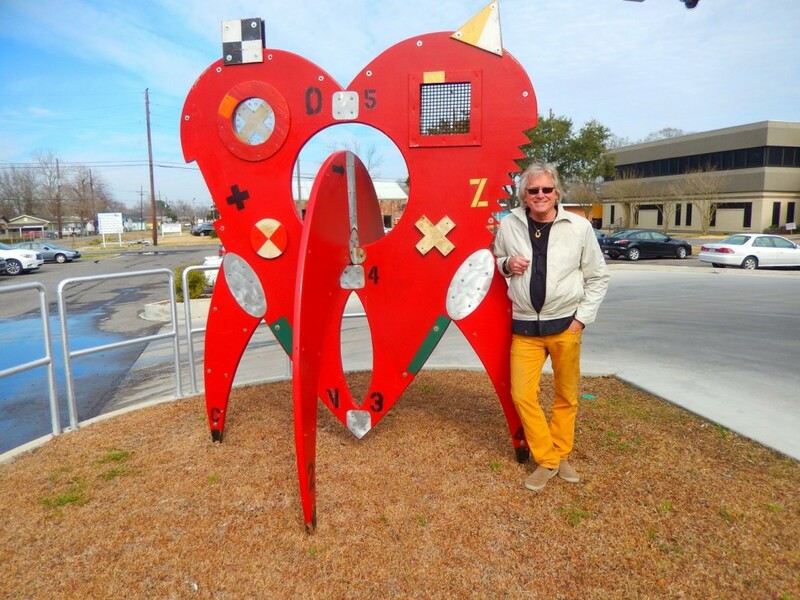 Despard is pleased to announce they will be hosting New Orleans based artist and Designer Thomas Mann for a month long residency in October and November of 2015. 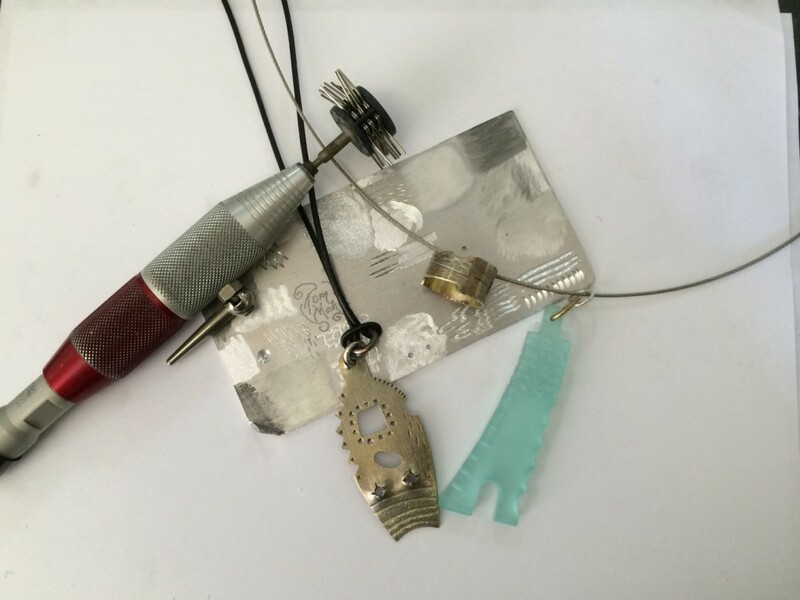 This workshop offers the opportunity to explore the design concepts and fabrication techniques important to an assemblage approach to jewellery making. FOS introduces an unusual cold connection system from which, students can extrapolate other jewellery engineering solutions. 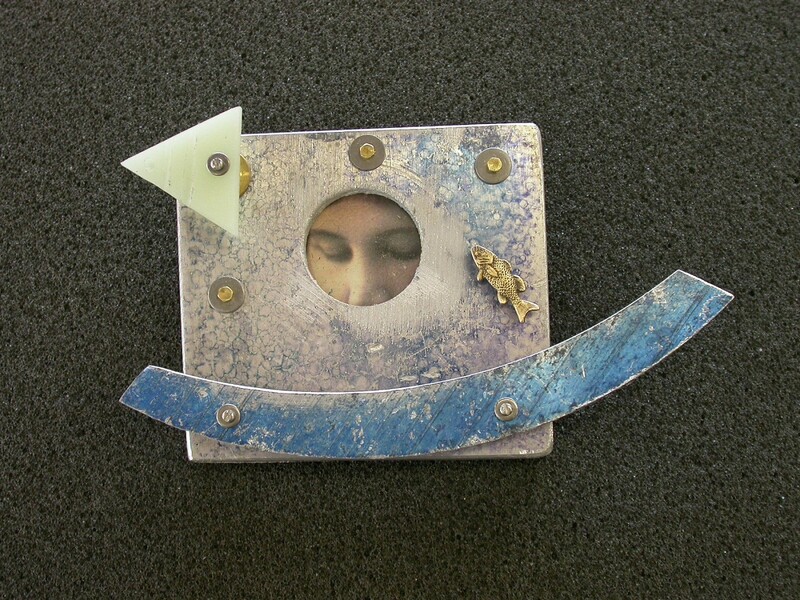 Mann will lead workshop participants in the creation of their own found object creations. Students are encouraged to bring photographs (old, new or magazine) and found objects such as buttons, heirloom jewellery or materials they find on the streets or in nature, and industrial materials (chain, electronic parts, etc.). to incorporate in the design and fabrication of a personal wearable expression. Note: this workshop requires participants to know “How to Saw” using a jewellers saw. 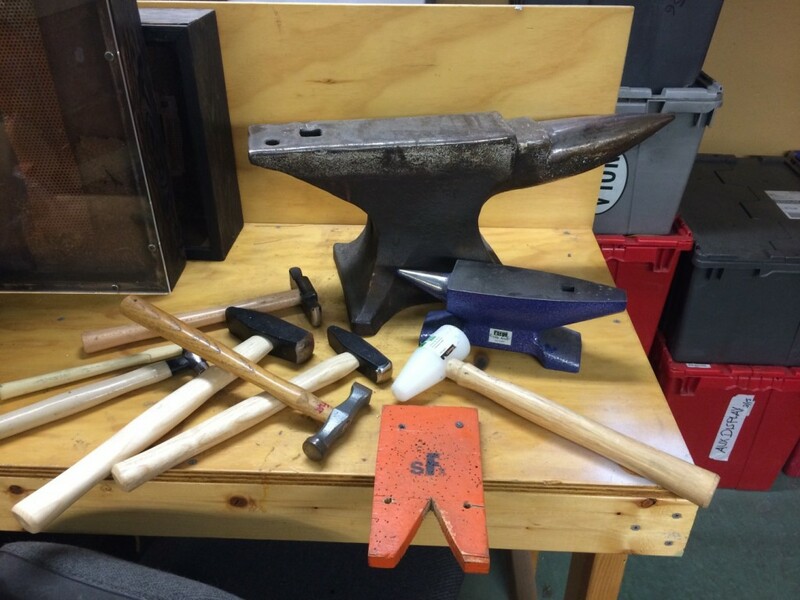 This is NOT smashing it, nope, and its definitely NOT hammering it, this is….FORGING! Let Thomas Mann give you an introduction to the way metal can move, not unlike clay, when specialised hammers are applied strategically. All of the tools that are peculiar to the techniques we will be exploring will be provided for use in class, as well as for purchase. If you have your own planishing hammer or bracelet mandrels, feel free to bring them with you! To book please contact the gallery, spaces are limited. Let Thomas Mann be the one to introduce you to the tool that wins the contest for the most VERSATILE tool on the metalsmith’s workbench — The Flexible Shaft Machine. It is also one of the most INDISPENSABLE tools that a serious artisan must master in order to MAKE at an elevated level, but one that jewellers rarely use to its maximum advantage. From burs to buffs to burnishers to bits, you’ll learn the basics & also a few secrets that only Mann can bring you from his 40+ years as a jewelry artist. Your finished projects include a custom drill index & a carved object in your choice of material uniquely designed by you. 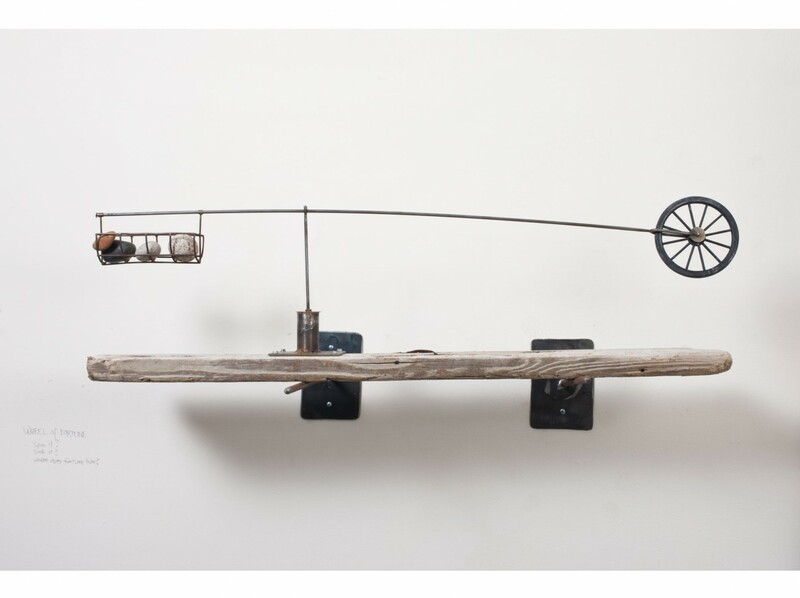 Thomas Mann will present a series of small works created while on residency in Hobart. Due to open at Despard Gallery on 30 October from 5:30pm. More details to be released soon.